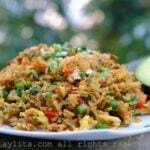 Ecuadorian style rice: Basic recipe for cooking rice Ecuadorian style, both basic white rice and arroz amarillo or yellow rice. 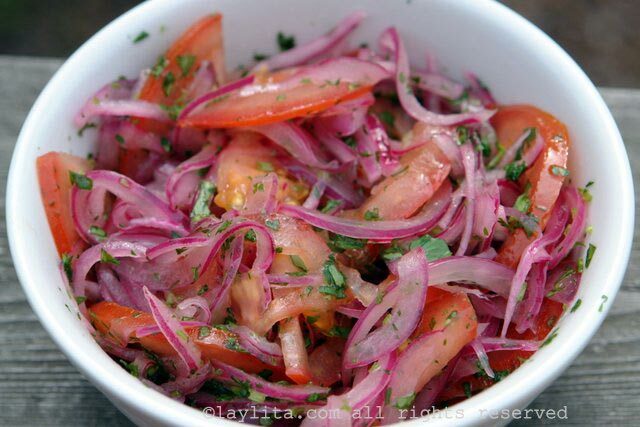 Ensalada rusa: Ensalada rusa is a classic salad and side dish served throughout Latin America, made with potatoes, carrots, peas, apples, celery, onion, and mayonnaise. 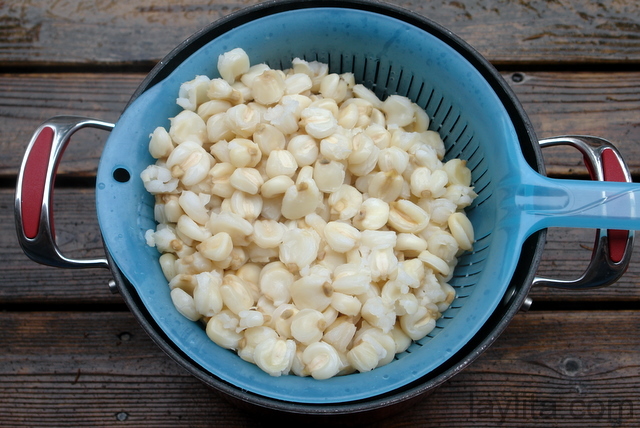 Mote or hominy: Basic instructions for cooking mote or hominy corn. 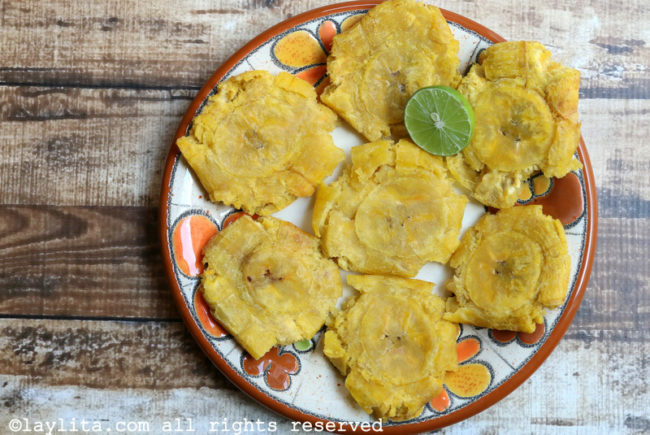 Patacones: Patacones, or tostones, are a popular Latin American appetizer or side dish of thick green plantain chips. 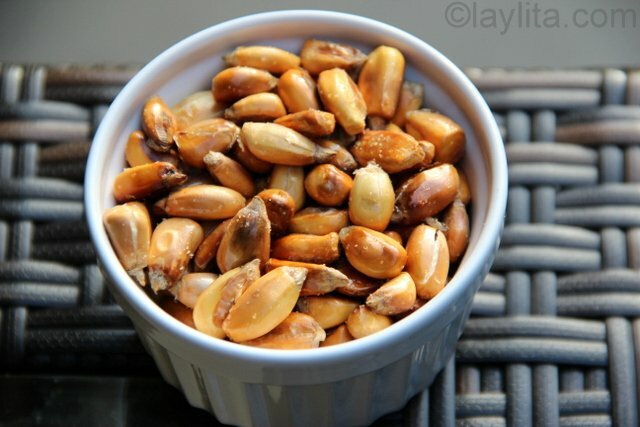 Tostado: Maiz tostado is a South American snack made by toasting cancha or chulpe corn. i was just in the Mindo area. We had a wonderful snack. It was almost like a yellow mashed potatoe that was lightly browned. I believe that it was made from yucca/cassava. 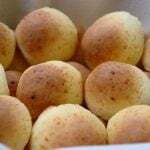 Do you know what I had? 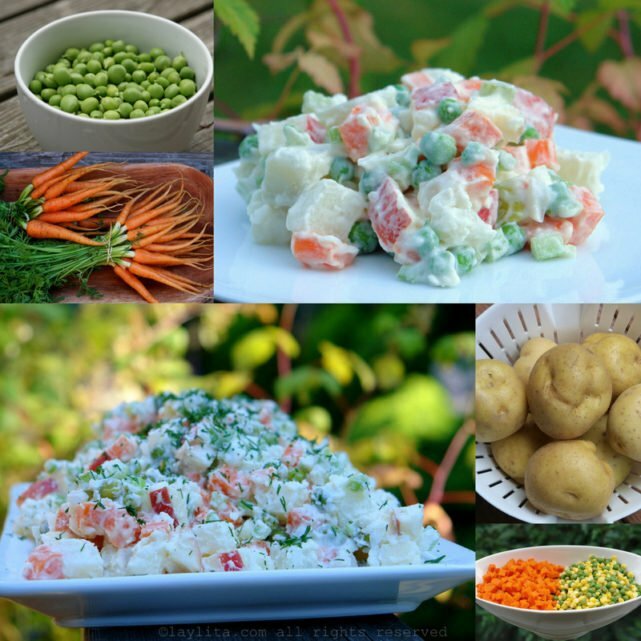 I am having company this week and using your recipes and I know that my friends would love this.